Chevy Chase starred in the 1980 comedy Caddyshack. He is also known for his role in the films National Lampoon’s Vacation, Foul Play, and Fletch. Chase was an original member of NBC’s late-night comedy show, Saturday Night Live, and the original anchor for the famous Weekend Update segment. He is a 3-time Primetime Emmy Award winner and was recently a main cast member on the comedy series Community for 4 seasons. 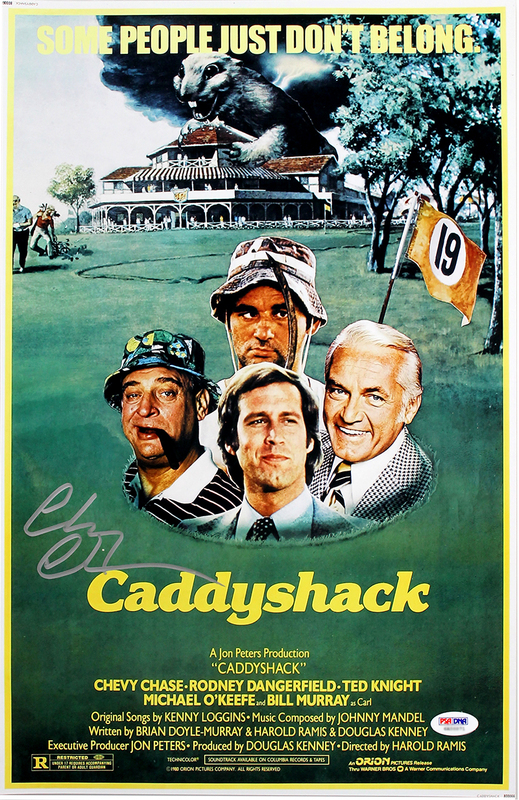 This Caddyshack 11x17 movie poster has been personally hand signed by Chevy Chase. Each autograph is guaranteed authentic, and includes an individually numbered TRISTAR Authentic hologram.